Some might see it as a glorified online dollar store, but the founders of Brandless see Brandless brand products as "a platform for your message not ours." There's a new "unbranded" online convenience store called Brandless. It's a magical place where everything is $3 and from the Brandless brand, which the brand contends is not really a brand. For example, mouthwash is just labeled "Mouthwash." Cheese duck crackers are just "Cheese Duck Crackers." 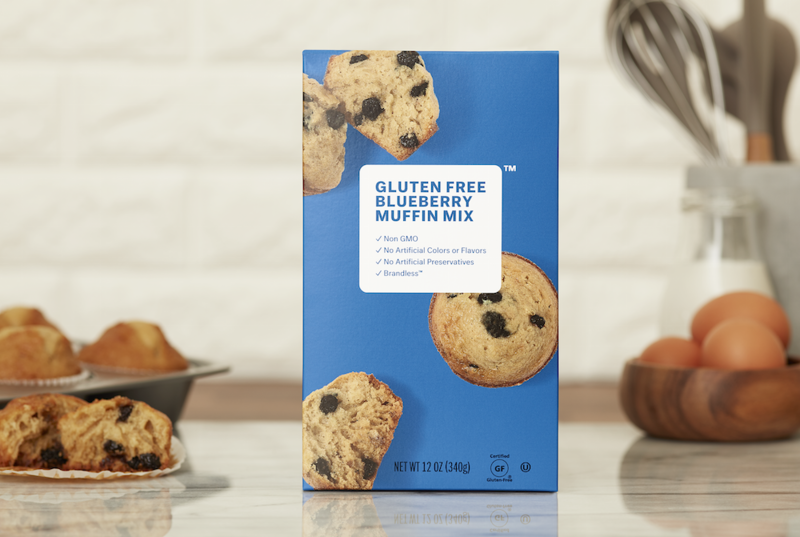 Gluten-free blueberry muffin mix is just "Gluten Free Blueberry Muffin Mix." If the product is on the site, it's $3. If you manage to buy $72 worth of stuff, or 24 $3 things, shipping is free; otherwise, shipping is $9. 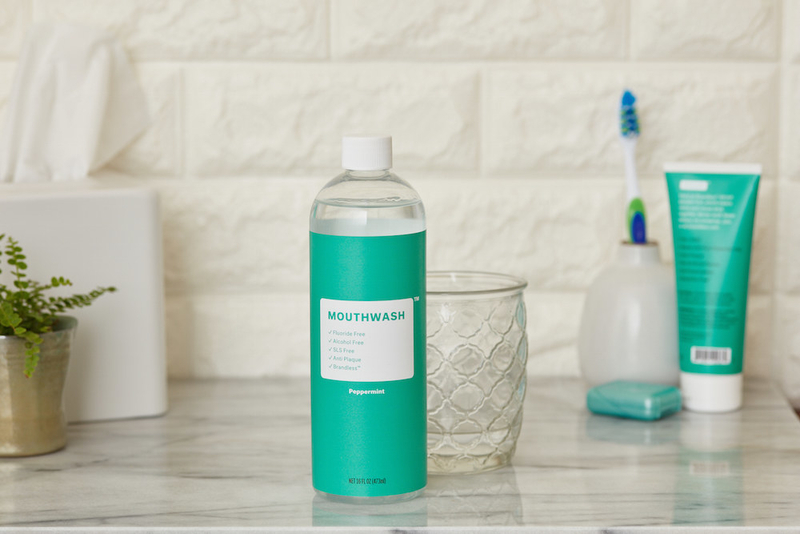 The startup raised $50 million in funding based on a mission to "offer unrivaled quality products without BrandTax — the hidden costs that come with buying a national brand." Instead, the company wants to start "a movement that ushers in a new wave of consumer-activist culture and transparency: better-for-you products at the fairest price from a group of people that do good by doing well." We were totally confused, so we reached out to the company to get some answers. 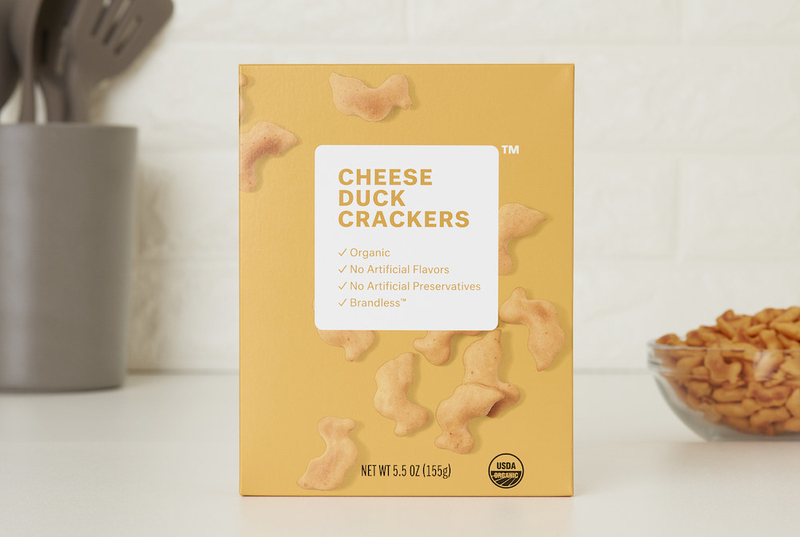 "Sometimes people might mistake the name Brandless for the idea that we’re anti-brand," said the company's cofounder Tina Sharkey. "We’re unapologetically a brand, but the difference is that in 2017 we’re reimagining what it means to be a brand." "We don't want to introduce the idea of false narratives," she said. "Our whole ethos is we want to be in a direct relationship with real people," she added. "We want to be transparent with them. We don't have icons. We trademarked a white box. What we put on the white box are the attributes, not some stock photo to suggest it’s somebody else's recipe. If it’s tomato and basil sauce, it’s tomato and basil sauce." FYI, the government has not yet approved Brandless's white box trademark application. "So our idea was, like, we really care more about your story," she said. "We want to be enablers any which way you want to tell your story." "In a super simple way, our message is really just a platform for your message not ours," she said, #brandlesslife. "It’s almost like we turned the camera back on the product," Sharkey said. "Whether it's the product selfie or people selfie, it's really about the people and enabling them to live their better lives." #ThatAuthenticFeeling. "You don't realize you’re paying this brand tax," Sharkey said. "We eliminated it. Just buy this stuff and go back and live your life." But what about the dollar store, which sells a gazillion branded products for literally $1, or cheap store-brand stuff? Brandless said, like the dollar store, it offers unified pricing, but it's more focused on better-for-you products. "We’re excited because you deserve it," she said.